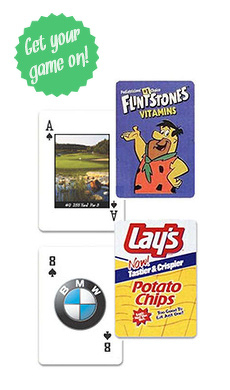 Printed Playing Cards attempts to display product as accurately as possible. However, we cannot guarantee that the color seen matches the product color exactly. The display of the color depends, in part, upon the monitor used and how it is calibrated. Item samples are available to provide optimal interpretation of item color and quality.